If you want to give Mum an extra special, one of a kind gift this year packed with DIY personality that she’s sure to cherish forever, then this is the Mother’s Day guide for you! These brilliant felt ball coasters are a fun blend of cute and practical, not to mention they pack a wonderful punch of colour! They might look tricky but never fear, they’re super easy! 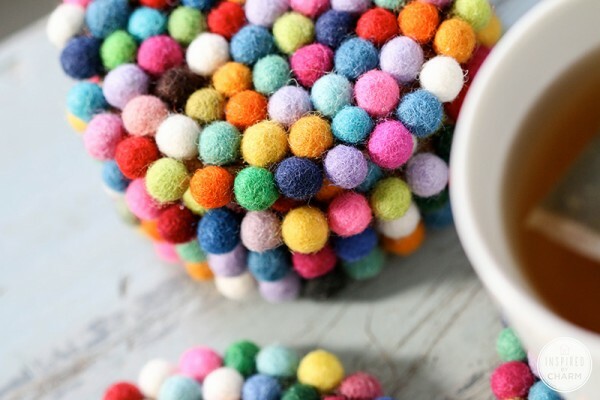 Jump on over to Inspired by Charm and look over the DIY Wool Felt Ball Coasters tutorial for a full list of what you’ll need to add some pizzazz to Mum’s next cuppa! From one of my favourite DIY goddesses, Rachel from The Crafted Life shows just how easy it is to make a sweet trinket box perfect for a dressing table vignette (I hope my children are reading!). 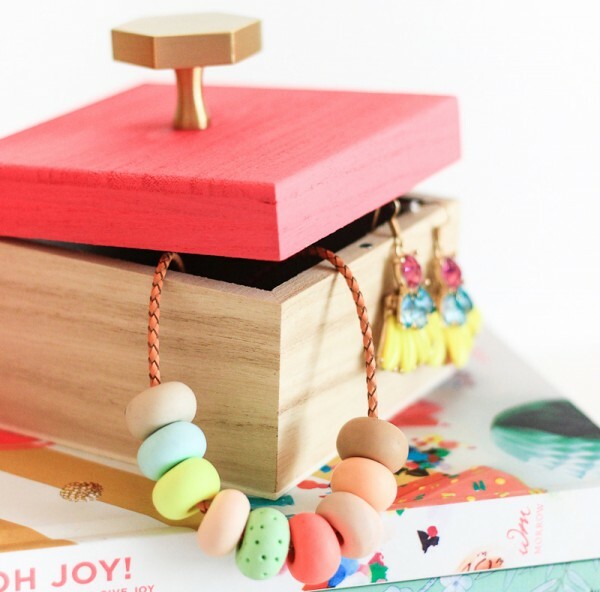 Take a look at Rachel’s DIY Jewellery Box tutorial to see the few things you’ll need. If mum is yearning for a day at the spa, but the kids can’t stretch their pocket money quite that far, head to the local supermarket instead! Yes, you can make your very own spa kit at home with a few simple ingredients. 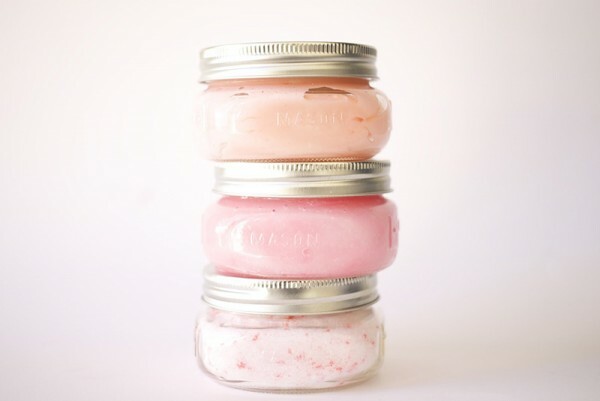 Check out Popsugar for recipes and tips on how to create a relaxing (and very cute) DIY Spa Kit. 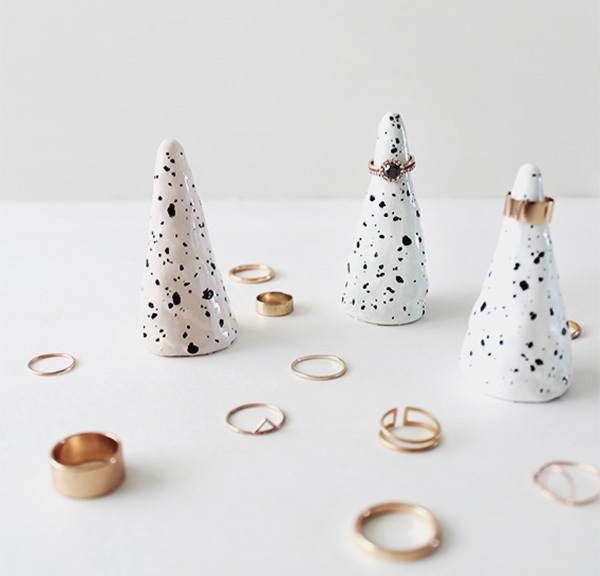 In some sort of craft wizardry, the very clever Molly from Almost Makes Perfect blog has created a set of divine ring cones from clay to keep accessories in order. Her DIY Faux Ceramic Ring Cones tutorial tells you exactly how to go about recreating a set for Mum’s dressing table. 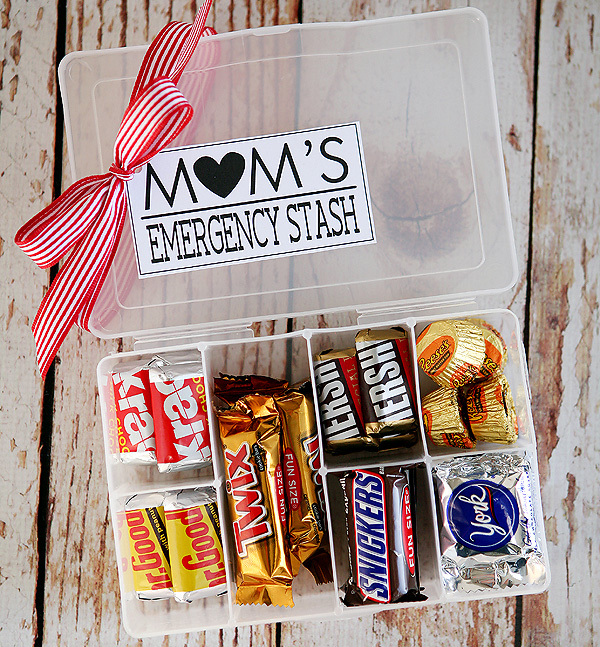 An easy DIY for any child or Dad is this Mum Emergency Stash Kit. Spoil mum with some of her favourite sweet treats (or other favourite nibbles) with this cute DIY activity you can easily bust out in under an hour. Dads, you can find these plastic containers in the craft section of Big W for just a few dollars. The awesome team at Eighteen25 blog has all the instructions you need, plus a free downloadable tag to finish it off. Sweet! 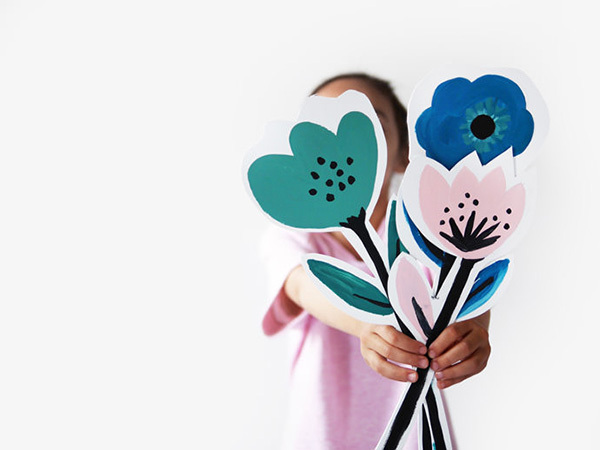 A bouquet of flowers and not a florist in sight, Handmade Charlotte‘s Flower Cards Bouquet tutorial shows how the kids can create their own blooms for Mum this Mother’s Day. We all know it’s nice to stop and smell the roses, now you can read them too. We all love the (sometimes brutal) truth which our children speak and so I choose a keepsake book to capture a few of those sweet and hilarious thoughts. 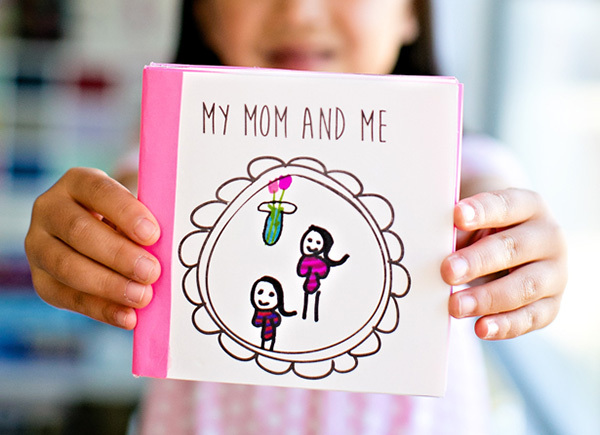 Hello, Wonderful has created an easy to print book template and page prompts if you don’t mind the American spelling of Mom. 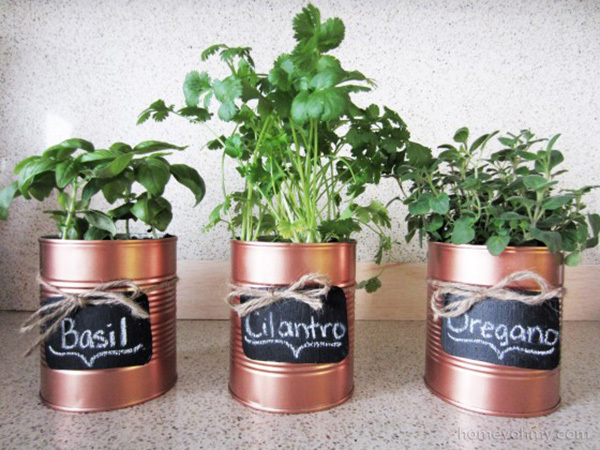 Rustle through the recycling bin to find some tins to clean and head to Bunnings for a can of spray paint and a few seedlings and you’re all set to create a beautiful edible gift for a Mum who loves to cook. They’ll be gorgeous (and handy) sitting in the kitchen window seal. Head to Homey Oh My! for all the DIY details. For a bright card young children can make, start looking for supplies in the baking cupboard. Different coloured muffin and cupcake liners make for pretty special flowers when pressed flat. 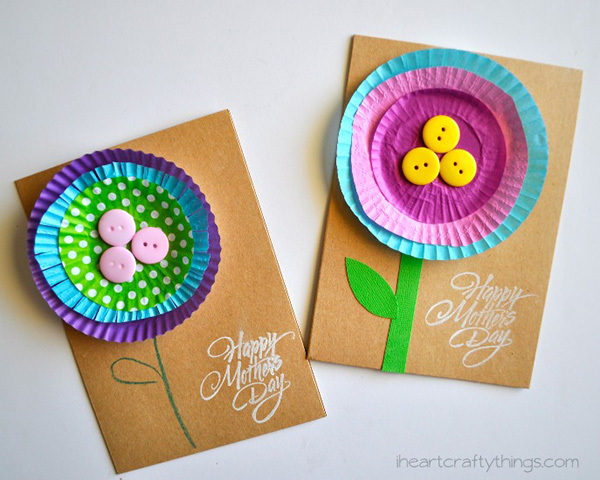 Jump on over to I Heart Crafty Things blog to get busy making cards. How about getting busy in the kitchen and creating a special brunch, lunch or afternoon tea for all the mums in the family? Fresh flowers, table linen, a pot of fresh tea and a spread of delicious morsels is all you need to make sure the ladies don’t lift a finger. 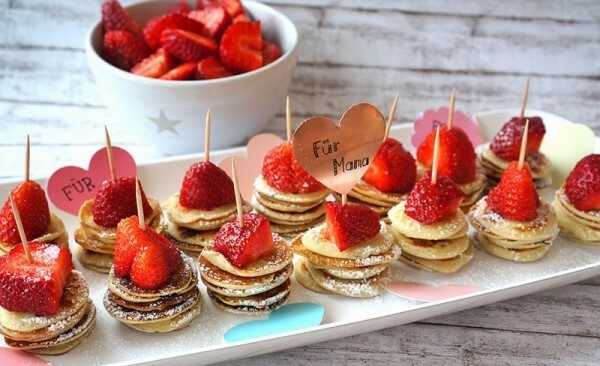 We love these little mini pikelet stacks from Cuchikind, but also think finger sandwiches, mini quiches, scones, biscuits and fruit for an easy to deliver, much appreciated feast. Happy Mother’s Day crafting, and make sure to check all our Mother’s Day 2016 gift guides for more fab ideas.